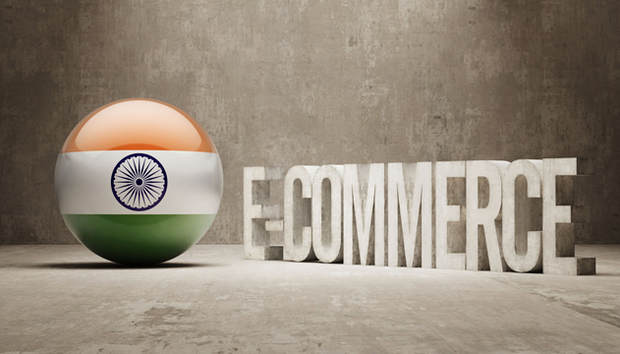 The Indian eCommerce market is growing so rapidly it can prove baffling for outsiders. We attempt to shed some light on what is really going on. Earlier this month, HomeShop18 filed for a $75 million IPO. This came as quite a surprise to many as the company is still a long way behind many of its larger Indian eCommerce counterparts. Yet this story highlighted the growing global interest in this sector, along with the exponential growth potential in the market. Like the escalating volume of Indian consumers, the industry numbers are big. An Assocham survey from December 2013 showed that in 2012 Indian eCommerce was worth $8.5 million. In 2013 it was worth $16 million and by 2023 it is set to be worth $56 million. A recent slideshare titled: “How is the E-Commerce industry in India shaping up?” by global VC Accel Partners proved India has everything in place to “display characteristics similar to China.” This is a mammoth opportunity emphasised by Chinese players like Alibaba, which is not only worth a ludicrous amount of money but enacts a phenomenal influence over the Chinese population. This is part of the problem with the fast transitioning market. Pearce stresses: “The reason it is not going to get cheaper is that people flooding online over the next five years and they’re all going to start shopping online. And they’re all going to start shopping at the absolute bottom end of the product range.” This is both the challenge and the opportunity in India. It is the second largest country by population after China, yet it is extremely price sensitive and people like to haggle and touch before they buy. Not surprisingly, international giants with a lot of capital are moving in to take their position on the massive Indian fruit machine. Amazon, for example, launched in India in June 2013, and immediately confers advantages. The constant shortage of core skills and consistent race for the lowest price means large organisations are easily able to cream off the best talent. Flipkart is by far and away the biggest player on the Indian eCommerce scene and owns about 50% of the market. Behind Flipkart are Snapdeal and Myntra (which make up about 25% each) and then after that are the other players, many of which fall into niches. Sachin Bansal, CEO of Flipkart stated earlier this year that his company would be looking at acquisitions whenever an opportunity arose. And even before this there were near constant rumours about a potential deal with Myntra, which could further solidify Flipkart’s stake hold. Due to the fragmented nature of eCommerce in India we have pulled together a quick list of some of the big potential players of the future that might be worth watching. Outside the top three, these are in no particular order and include comparison sites, niche players in areas such as optical wear and baby products, through big online bazaars that offer a little bit of everything. The aim of this is to help provide a quick snapshot of the space. Headquartered in Bangalore, Flipkart was founded by Sachin Bansal and Binny Bansal in 2007. Initially focused on books, it later expanded into electronic goods and other products. Established by Mukesh Bansal, Ashutosh Lawania, and Vineet Saxena in February 2007, Myntra is an Indian online shopping retailer of fashion and lifestyle products, headquartered in Bangalore. Started in 2010 by Kunal Bahl and Rohit Bansal, Snapdeal is headquartered in New Delhi and offers an assortment of different products. The site was launched in 2012 through Rocket Internet and is one of India's leading fashion and lifestyle portals. Yuvastyle retails online apparel and footwear sales with an extensive range of brands in fashion and lifestyle products. This is a niche website for all forms of glasses. Large online retail shop for branded electronic items and gadgets. The site stocks online photography products. This website offers a vast range of products across a wide variety of categories. Online portal dedicated to supplying baby products. This provides a large variety of products across different categories. This is a site for booking cinema tickets which also features reviews. This site offers a wide variety of merchandise and prides itself on good design. Live since 2008, the site has grown into a large comparison-based social shopping portal. Established 2010, this offers a wide range of branded baby products. « East Africa: Technological Reciprocity or Originality?